The Fund for American Studies is currently accepting applications for the Fall 2017 Capital Semester and the Fall 2017 Leadership and the American Presidency programs in Washington, D.C.
Students will spend a semester immersed in today’s foreign, domestic, and economic policy. Pavlis Honors College students will receive priority admission and scholarship consideration along with other NCHC members. These academic internship programs are sponsored by The Fund for American Studies, in partnership with George Mason University. The goal of these programs is to help students close the gap between theory and practice by developing skills to work on today’s most pressing global and domestic policy issues. The Fund for American Studies is committed to providing an educational experience that will prepare students for a successful career in domestic, economic, or foreign policy and beyond. Scholarship funding is still available and students should apply by the final deadline of June 1, 2017. Visit www.DCinternships.org/CS for more information on admission and program requirements. The 23rd Annual Student Leadership Awards were held Friday in the Memorial Union Ballroom. The Student Leadership Awards celebrate and reward the individual and group efforts of students involved in organizations across campus. There are awards for student employees, student organizations, programs and more. Among the fourteen awards that were presented at this year’s ceremony, four of the winners were Pavlis Honors College students. Magann Dykema was presented with the Pavlis Honors College Departmental Scholar Award. Dean Lorelle Meadows nominated Magann to represent the PHC and to be considered for the Provost’s Award for Scholarship. Magann is an amazing asset to the PHC, not only by academic standards, but also for her motivation, creativity, and communication skills. Magann serves as the Operations Coordinator for The Alley, Michigan Tech’s new makerspace. Dykema in The Alley with Milwaukee Tool representatives that presented donations to the new makerspace. Kemin Fena was awarded Exceptional Community Service Project for her Your Story, Our Story project. This was in collaboration with Right Start UP and was made possible through help from Fena and other motivated community members that invested significant time and effort. Fena served as Project Manager for Your Story, Our Story under the direction of the Project Director and Tech instructor, Dr. Sara Thiam. Fena’s Your Story, Our Story project served as her honors project for the PHC. Erin Richie was presented with the Vice President for Student Affairs and Advancement Award for Service. This award is designed to recognize students demonstrating leadership, engagement in community, and a commitment to service. 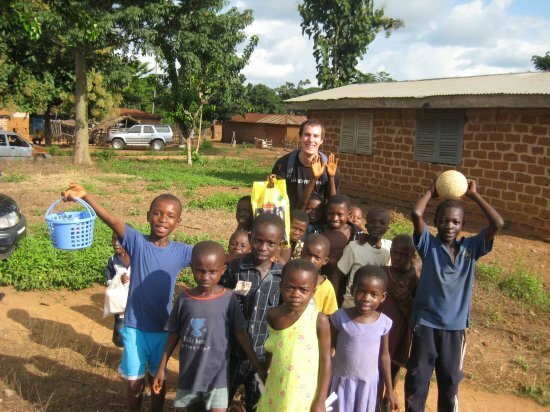 Erin was and continues to be involved in service projects abroad and within the community. Richie was also recently awarded the Pavlis Honors College Dean’s Scholarship for her commitment to recruiting and outreach efforts as an Honors Ambassador. Richie with children in a local Ghanaian community where she spent her five-week immersion experience for the PHC Global Leadership Pathway. Brad Turner was presented with the Clair M. Donovan Award. This award recognizes a Michigan Tech faculty or staff member, student, or an exceptional community member who has contributed the most outstanding service during the preceding year. This award is in honor of Clair M. Donovan, who made immeasurable contributions to Michigan Tech through his service as national president of Blue Key, as an alumnus, and as a civil leader. Turner oversaw the design and development of the makerspace which was converted from Tech’s old bowling alley in the basement of the MUB. He currently serves as Alley Director. As a University Innovation Fellow, Turner creates opportunities for students across campus to engage in more activities and events that inspire innovation, entrepreneurship, design thinking and creativity. 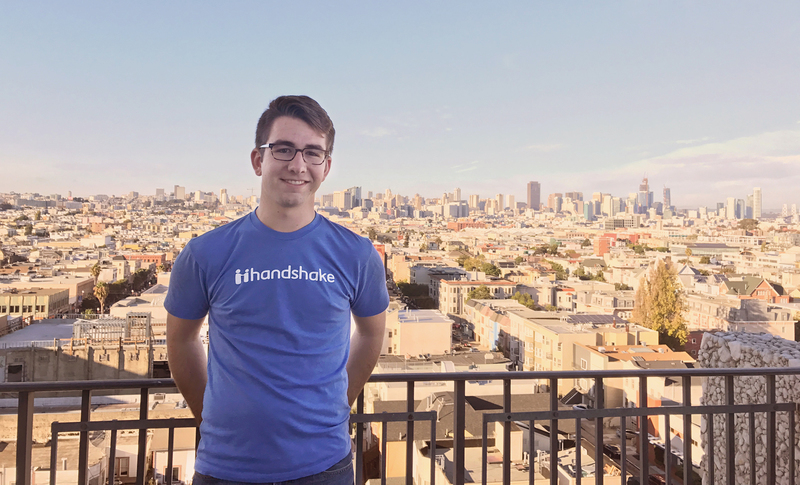 Turner works part-time as a product designer for Handshake, headquartered in San Francisco. He will be moving into a full time position upon his graduation at the end of this month. The Undergraduate Research Symposium winners were also recognized at Friday’s Award ceremony. Stephanie Dietrich, Exercise Science major, took first place for her research, Subjective and Objective Assessments of Sleep Differ in male and Female Collegiate Athletes. Brain Flanagan, Computer Engineering major, placed second for his research entitled, The Effects of Uncertain Labels on Damage Assessment in Remotely Sensed Images. 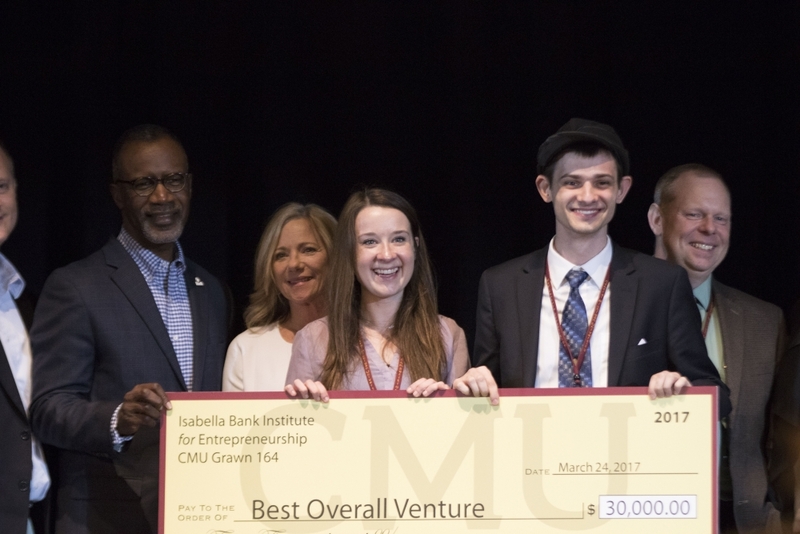 Third place was awarded to Drew Hanover, Mechanical Engineering major, for Building-to-Grid Predictive Power Flow Control for Demand Response and Demand Flexibility Programs. The Pavlis Honors College would like to recognize all Honors student nominees: Sam Casey, nominated for the President’s Award for Leadership and Exceptional Leadership in Student Governance, Rachel Chard, nominated for the President’s Award for Leadership, Rachel Kolb, nominated for the President’s Award for Leadership and Student Employee of the Year, Shelby Marter, nominated for Exceptional Enthusiasm as a Student Leader, and Jacob Cavins and Neffertia Tyner, both nominated for the Outstanding Future Alumni Award. More than 1000 students in Enterprise and Senior Design showcased their work last Thursday at Design Expo and competed for awards. A panel of judges, made up of distinguished corporate representatives and Michigan Tech staff and faculty members, critiqued the projects. The College of Engineering and the Pavlis Honors College is pleased to announce the following winners. 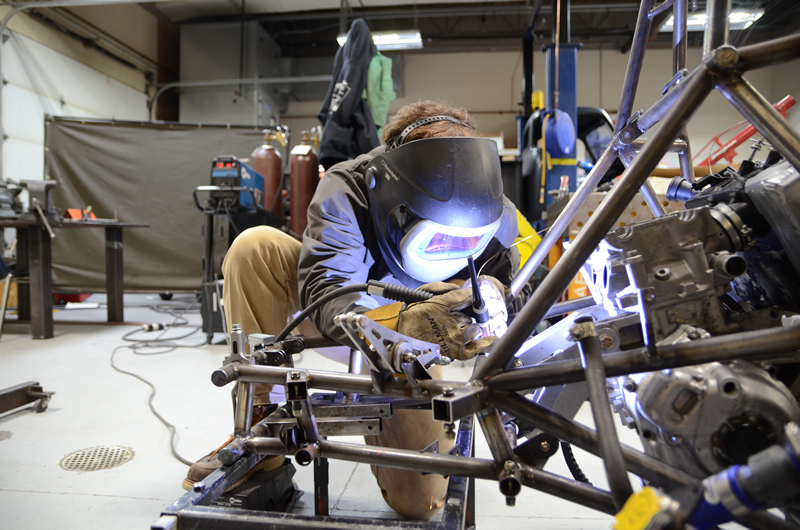 Welding the Formula car chassis together. 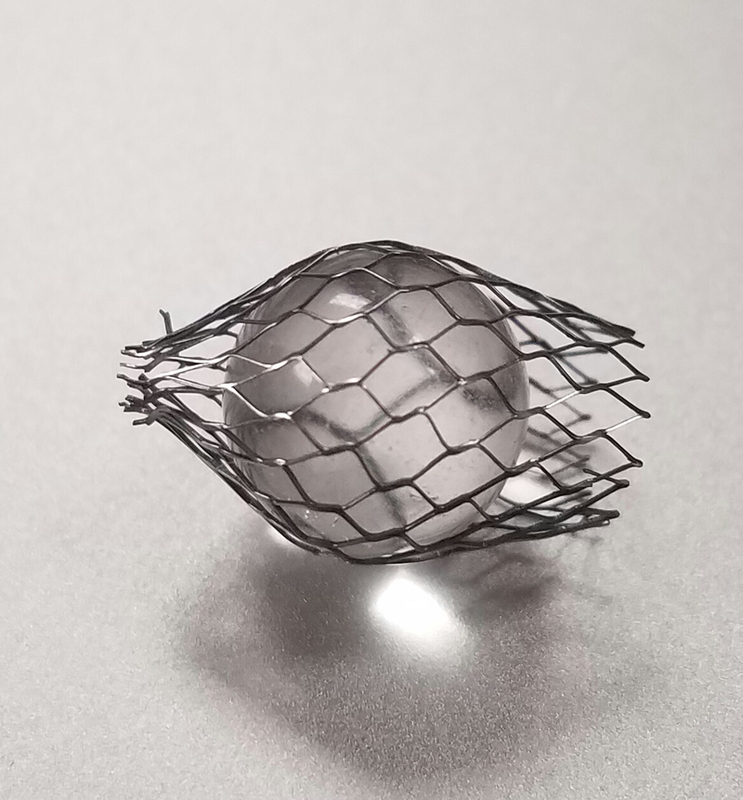 Deformation of a nitinol stent to investigate the possibility of clinically relevant geometries. 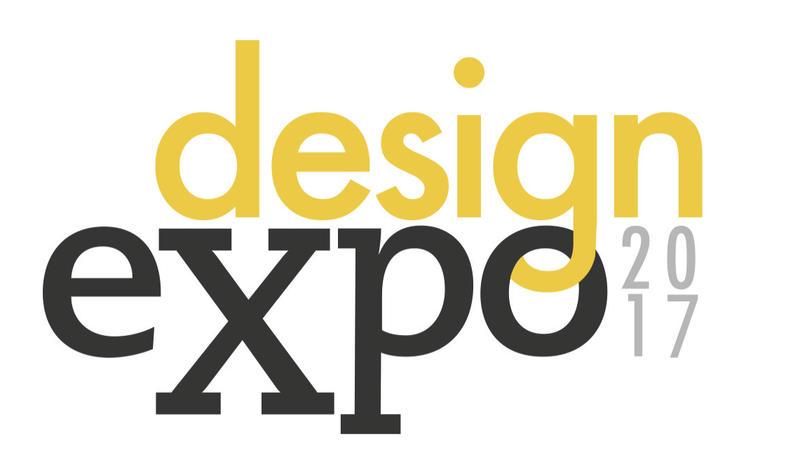 Congratulations and thanks to ALL teams for a very successful Design Expo 2017! 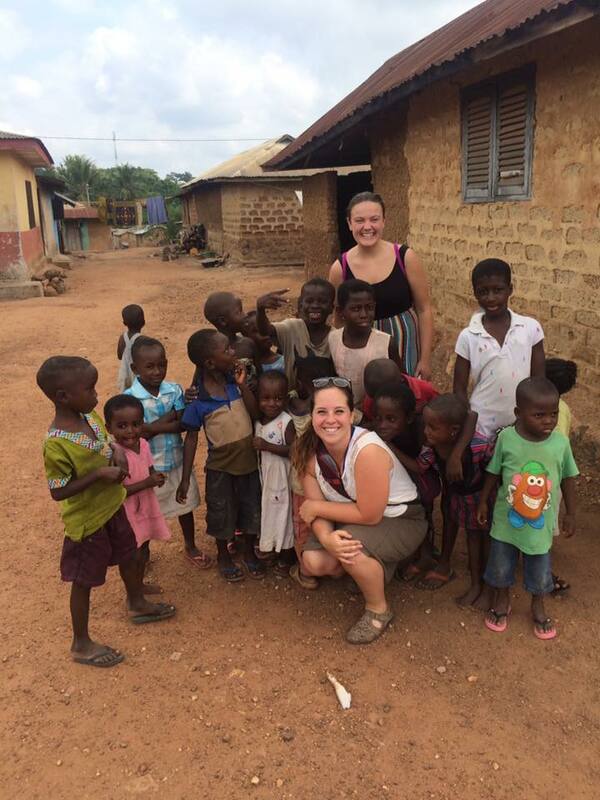 Erin Riche and Maddy Duensing on their 5-week immersion experience in Ghana. Erin Richie traveled to Ghana last summer with a cohort of students from the Global Leadership Pathway within the Pavlis Honors College. The team worked on numerous projects while in country, but Erin took the lead on the Women’s Health and Education project. In many developing countries, the subject of menstruation is still very much taboo. Many parents will not discuss menstrual hygiene with their daughters, which can lead to embarrassment and confusion. Without access to sanitary pads, many women use items such as newspaper, rags, and other materials that are not very efficient at absorbing and can cause infection. Girls will often miss several days of school each month while they are on their period to avoid the potential embarrassment of staining their clothes due to leakage. According to the United Nations Educational, Scientific and Cultural Organization (UNESCO), approximately 10% of African girls will quit school due to issues regarding menstruation. There are solutions available, but making them accessible to small villages, such as those Erin traveled to in Ghana, is difficult. 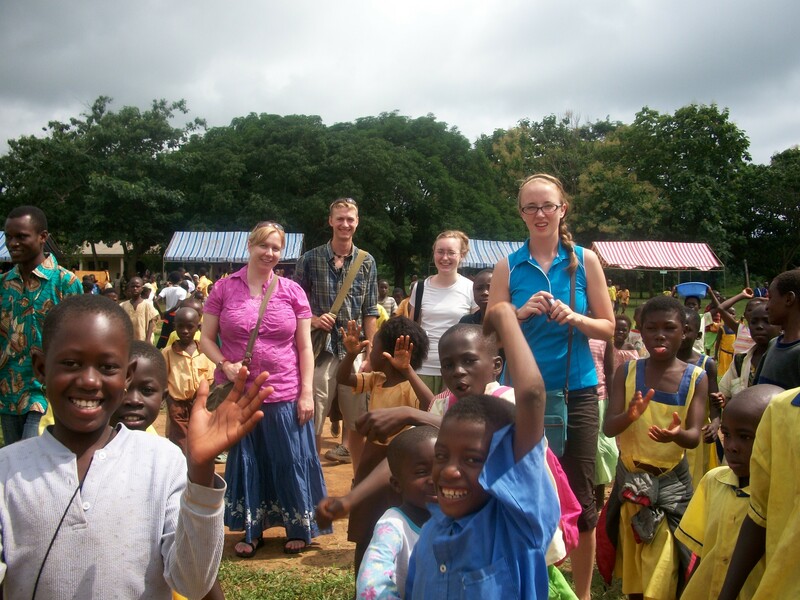 Before leaving for Ghana, Erin first reached out to Diva Cup for donations. Diva Cup manufactures reusable menstrual cups that last several years and can be cleaned and sanitized using boiling water. The company agreed to donate 50 cups, as well as designed posters explaining proper care and use. Erin wanted to do more though. She new that 50 cups, while helpful, would eventually run out. Erin wanted to provide an alternative for the girls and women in the Ghanaian village that they could continue to utilize even after she had left. Using simple, low cost materials, Erin modified a pattern for a reusable menstrual pad that could be washed and then sun bleached. She wanted to offer workshops to teach girls and women how to make their own reusable menstrual pads providing the necessary materials. Through a connection with the nonprofit organization Women of the Pearl, Erin partnered with a local pastor and his wife in Ghana. The couple believed that when women are empowered, their children will prosper. They were very excited about the project and helped Erin solidify a location for her first workshop. The initial workshop was a success and the turn out was very encouraging. The demand for more workshops grew and Erin spent much of her time in country holding these workshops and teaching local women how to facilitate their own. These women could now make their own affordable, reusable pads, allowing them the protection to stay in school during their monthly cycle. 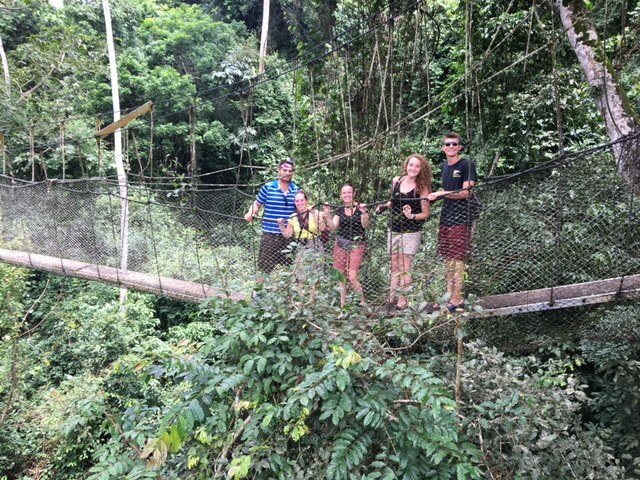 From left to right: Bob Beynon, Maddy Duensing, Erin Richie, Amanda Vermeer, and Peter Seim in Ghana. “I’m so thankful for all that I’ve been able to do by being involved with the Pavlis Honors College. Aside from learning about the culture, my time in Ghana also taught me how to be a better teammate. I’m so lucky to have had a great supportive team in Ghana and for all I was able to learn from them that I can apply to future experiences, as teamwork is not only an intricate part of becoming an engineer, but a valuable life skill,” reflected Erin. 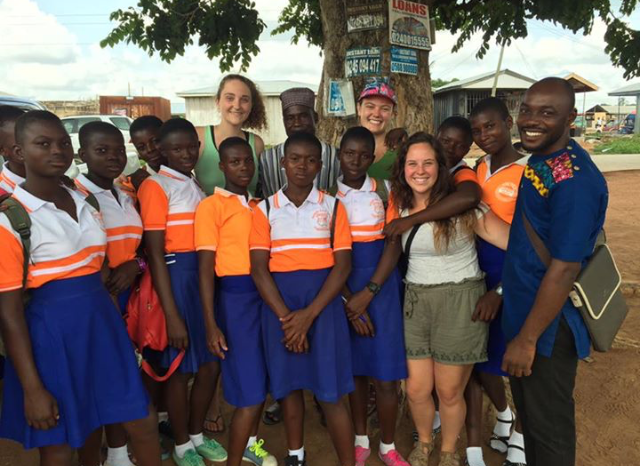 The next Pavlis Honors College Ghana team will be traveling this summer. They are currently raising money to purchase more materials and supplies to continue teaching Erin’s workshops in local villages. Donations to this and other causes can be made through Superior Ideas, a Michigan Tech crowdfunding site. Erin with fellow PHC students and young Ghanaian women who benefited from the workshops. Erin returned from her immersion experience in Ghana a little less than a year ago, but her devotion to women’s health and education has only grown stronger. She will be spending two weeks this summer volunteering in Uganda with Women of the Pearl to continue her work, as well as contribute to other projects that empower women around the globe. Prior to her trip to Uganda, Erin will be studying abroad for six weeks in Peru to participate in some volunteer work and finish up her minor in Spanish. She will be living with a host family while in country, and hopes to find some time to visit Machu Picchu, Ica, and Iquitos. Erin will be graduating at the end of Fall semester 2017 with a degree in Mechanical Engineering and minors in Spanish and Psychology. 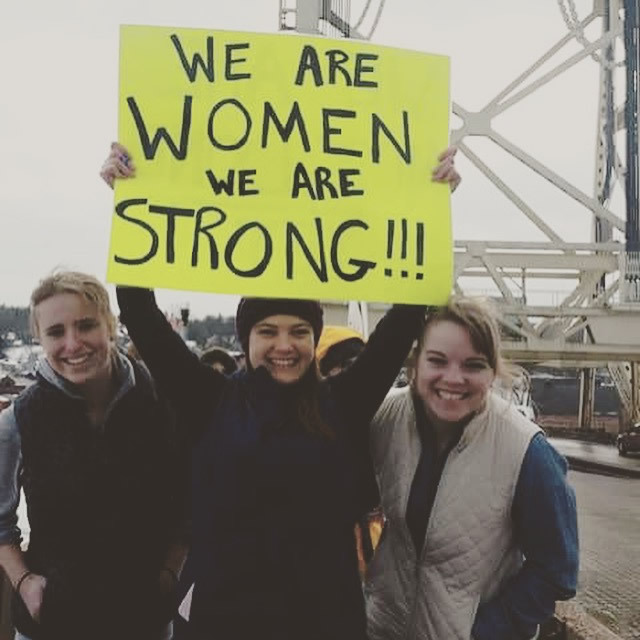 Erin at the Women’s Solidarity March across the Portage Lake Bridge on Jan. 21. Erin’s interest in human centered design did not originate in Ghana. As a mechanical engineering major, Erin is passionate about designing and developing products that make daily work and life more efficient and enjoyable. Erin is currently leading the Human Factors Team for the Humane Interface Design Enterprise (HIDE) at Michigan Tech. HIDE is a student-run organization focused on software development and usability research. Erin is now working with the Undergraduate Student Government to develop an RFID voting booth in order to increase student involvement in surveys and elections. Starting in the Fall, Erin will become the co-president of HIDE. 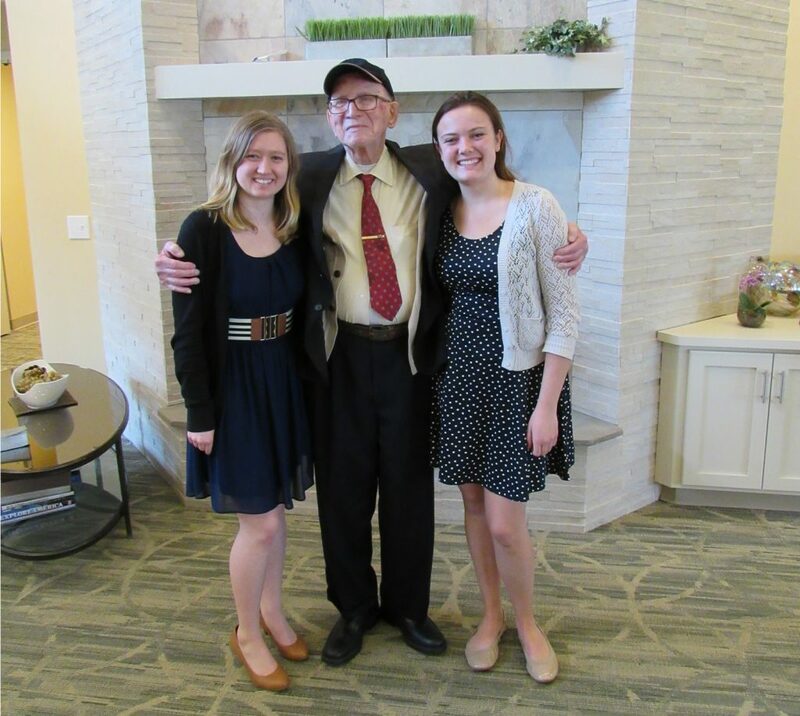 Nicole Mackey and Erin Richie with PHC benefactor Frank Pavlis in Allentown, PA.
Erin Richie is an active Honors Ambassador and works as an academic success coach on campus, as well as off campus as an elementary school STEM instructor through the GLRC. She was recently awarded the Pavlis Honors College Dean’s Scholarship in the amount of $1000. Erin is the first recipient of this award, which was created to recognize Honors students like Erin who go above and beyond. The Pavlis Honors College Dean’s Scholarship will be awarded to one honors student annually in the amount of $1000 to recognize their outstanding commitment to our programs and pathways. Erin consistently volunteers her time to design, plan and implement recruitment efforts to grow the PHC community. She has taken a leading role to ensure the successful implementation of ideas and events. She goes above and beyond to engage with students and faculty on a meaningful level and continues to have a significant positive effect on College enrollment. Overall, Erin is passionate about the PHC and enthusiastically shares her passion with potential future Honors students whenever given the opportunity. On behalf of the entire PHC staff and faculty, I would like to congratulate Erin on her achievements and accomplishments. We could not be more proud of her and look forward to what her future holds. Michigan Tech’s Enterprise Program was selected by the American Society of Mechanical Engineers (ASME) Engineering Education Awards Committee for the Donald N. Zwiep Innovation in Education Award. Rick Berkey, the Director of the Enterprise Program and Dr. William Predebon, Department Chair of Mechanical Engineering-Engineering Mechanics, nominated the Enterprise Program for the award last month. 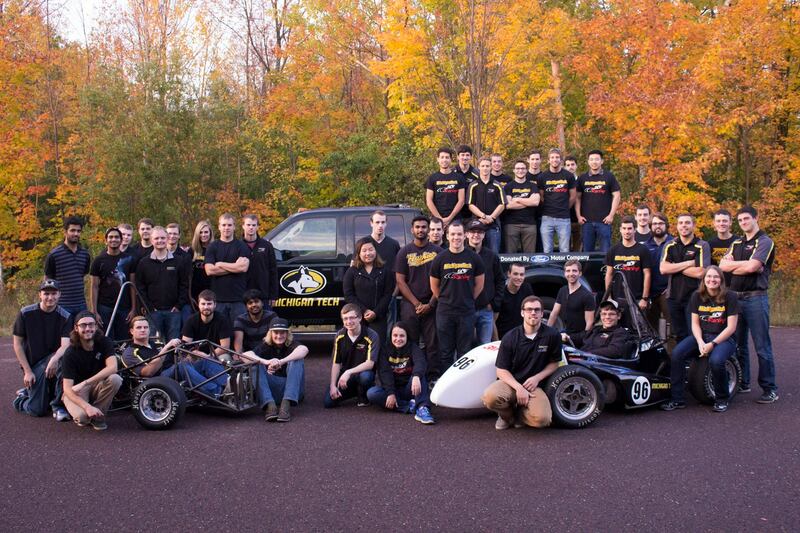 They will be accepting the award on behalf of Michigan Tech on April 19th in Washington D.C. at the Mechanical Engineering Education Leadership Summit Awards Luncheon. At that time, Berkey and Predebon will have the opportunity to make a presentation regarding the Enterprise Program sharing how it differentiates Michigan Tech from other universities. Donald N. Zwiep, ASME member from 1947-2012, was a pioneer of project-based, experiential learning in mechanical engineering. The Innovation in Education Award that bears his name recognizes innovative educational programs that foster and contribute to the advancement of collaborative and multi-disciplinary learning within the field of mechanical engineering. 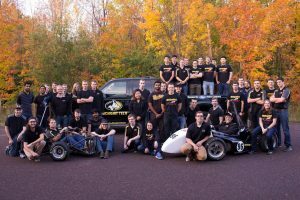 Founded in 2000, the Enterprise Program at Michigan Tech is comprised of student-driven, multidisciplinary teams that operate like companies on real-world client-sponsored projects. Whether the deliverable is an innovative product, a pioneering solution, or a much-needed service, the hallmark of the Enterprise Program is the experiential learning it provides to Tech’s students. Many teams design, manufacture, and test their own prototypes which provides students with an end-to-end project development experience. Aerospace Enterprise working on their custom-made OCULUS-ASR microsatellite. The Innovative Global Solutions Enterprise tested their infant heart annunciators in Ghana. Enterprise teams prepare designs for national competitions, and some projects will even take teams abroad. The Aerospace Enterprise placed first in the University Nanosat 6 Competition, receiving a contract to further develop the custom-made satellite to be launched into orbit by the Department of Defense upon completion. The Innovative Global Solutions Enterprise designed an infant heart annunciator for use in developing countries. Through the Pavlis Honors College, these students were given the opportunity to test their lifesaving device on infants in Ghana. 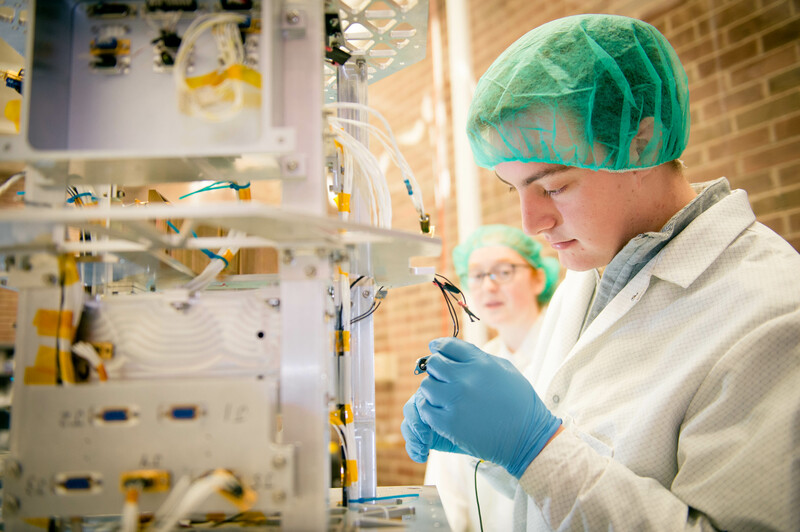 The Enterprise Program at Michigan Technological University has demonstrated an exemplary understanding of the importance and value of hands-on, project-based learning. Consisting of 26 teams and 800 students that represent 35 different majors, the Enterprise Program was founded on an environment of collaborative and interdisciplinary education.